This warning I get every time I start the car. I just put new a new battery in the Fob 3 weeks ago ... and the message returned within 2 days. I don't want to be stranded some time if this is a significant warning for a key-less go system. What brand and where did you get the batteries? I went through about 40 batteries within a 2 month period. 20 Philips batteries from amazon. they were not expired but each lasted about a day or two before the warning came back. Also tried various other brands they all work for anywhere from a day to a month. Finally I went to the dealer, they put in a panasonic battery, It lasted 18 months. I replaced both Fobs the same time ... bought a two pack of Energizers from Walmart. One new Energizer seemed to work fine. The second new battery in that pack would not make the message go away. So I used an old Radio Shack battery from the drawer. I think I will stop at the dealership and get some of their Panasonic batteries. Has any one ever been stranded? Don't worry about being stranded. You can take the metal key out and use that to open the door. 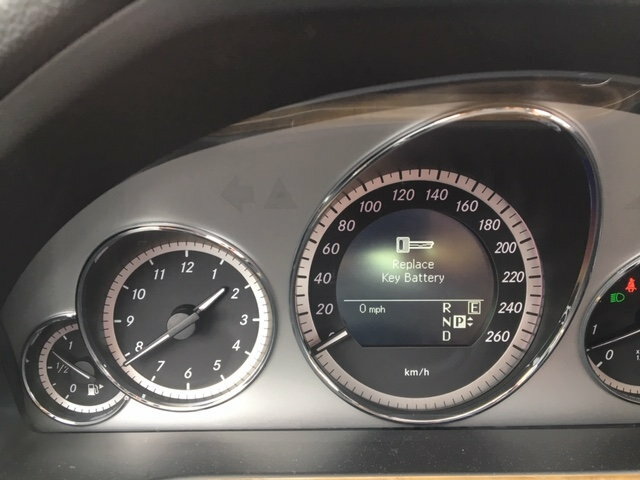 the key will start the car even when the battery is too low to operate the remote. I've gotten in the habit of checking the batteries with a multimeter to be sure they are above 3v before I use them. Too many store bought batteries are not fresh and MB will warn you when it hits 2.99v. correct. You cannot be stranded. I buy Energizers on eBay. They last 3-4 months. Normally they're anywhere from 3.25-3.35 volts. I'm guessing the ones he bought have been sitting around too long. I usually get the warning message at 3.06 volts, but at that stage, I just change them out. They're only about $3.54 for a 10 pack. There are tons of fake CR2025 batteries out there as well as lots of old stock. How far do you keep the keys from the car? If the car and key can communicate, it will drain the battery. There are some threads about the distance. My dealer tole me that Mercedes recommends Panasonic batteries. After moving the key fob and change the batteries, I am back to over 12 months on a battery. ^^^^^^^^^^^^^^^^^^^^^^^^ Yup, what he says. I read these fob battery threads, and I wonder why I don't have any problems. Maybe it's because I keep the car locked, and store the key fobs more than 20 yds distant so they cannot communicate with the car. I've owned this E350 nearly a year now, and have no idea when the batteries were changed before I bought it. Everything works fine. BTW, I have replaced the batteries in my C320 fobs exactly twice in 18 years. Last edited by DFWdude; 02-26-2019 at 12:23 PM. Do you have keyless go? This issue only affect keyless go equipped cars. I've had non-keyless go cars that had remote key batteries that are 10 years old and still working. in my keyless-go equipped car, most batteries last a few days to a few weeks max. The only one that lasted longer was the dealer supplied panasonic. those tend to last about 18 months. I've tried buying panasonic batteries from various sources, and they also only last a few weeks, so not sure what's so special about the dealer sourced panasonic battery. also car does not ping Key until you try to unlock or lock etc. SO key fob sitting there doing nothing should last very long time as no battery is used. power only used when car pings to see if correct Key Fob is present whcih only happens when you lock, unlock or press start. - Storing key long way from car. - Pressing shutdown(??) or lock or any button shuts down key. Man the manul is loaded with info - LOL. I've never had my batteries last more than 4 months. Even when I had them changed by the dealer, they only lasted about 4 months. I keep my spare keys next to each other though and I have two keyless go cars. All I can think of is that the batteries could be fakes. I do notice that I get the warning at 3.06 volts, but then it goes away if I forget to change them right away, not sure if you guys are just using yours til they're really dead. Also note that with the W212 fob, you can squeeze in a CR2032. The previous owner did that to my key. It was a little hard to get the battery out, but I guess that's one way to get a little more life out of the battery. I just went back to the regular CR2025. I am close to 2 years of owning W212 still did not replace the fob batteries, but lately often have to hit "lock" button twice, what might be a sign. Back in 1997 we bought new ML and 13 years later sold it still with factory batteries in knobs. Yes, my E350 is Keyless Go. We've had these "range" discussions before, and I suppose some are not open to changing fixed opinions, All I can tell you is that I lock my (Keyless Go) car when not in use, to encourage it to power down all but minimal accessories. (The car is "awake" to some extent ALL the time, witness the clock, fan in the overhead console, etc.) Then, I keep the keys in my bedroom, sitting still on a counter-top, well away from the car ... not constantly in motion in my pocket. Anytime the key is in motion it is powered-up, and consuming battery power. I've read elsewhere that the key becomes inactive after a period of time sitting still (to conserve the battery). Proof is in the pudding, namely I do no have the battery discharge problem whined about in this thread. Do what you want. 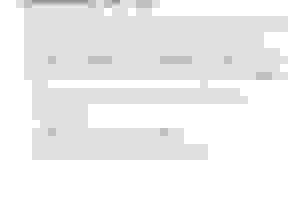 Last edited by DFWdude; 02-26-2019 at 02:18 PM. Did you have keyless go in all those cars? Only last purchase has keyless go and 6 months with the family. Should I expect the batteries to die faster? From what I was able to read - the system is using passive chip in the remote, meaning it is not using batteries at all. That would lead me to expect longer battery life. locking car does nothing for KEYFOB battery life. Hiding the in your room or a coffee can does nothing for its battery life. now being in the running car a long time (miles do not matter) would burn thru the battery though. The Key has the RFID chip which is turned on when the car sends a signal to it or you press the buttons. 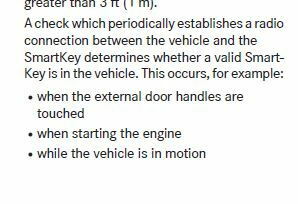 This explains why sometimes the first time you touch inside of the door handle quickly it does not unlock; as the car has not connected to key yet. So I learned to hold hands on inside of handle until it unlocks. Hitting the lock button twice shuts it off so it no longer responds to requests from the car. If you hit the unlock button, it wakes it up. You can either put the key in a faraday cage to block the signal or shut it off. Shutting it off should save battery life on the fob. I looked everywhere in my manual. It says the car sends signal to FOB and then the fob uses power to reply. The fob only replies unless you press a button and it sends signal but it does not sit there and send any signal until requested to like all RFID. RFID can last a long time if never requested to send any info as the power fro the Radio signal sent to FOB wakes it up. it does not sit there and listen like your old fashioned CB radio it is off until woke up. I can hit lock button fob twice and come back next week and when I touch door handle with FOB in my pocket it unlocks. so how did it turn on? The best place to buy batteries is at the dealer, and at mine they're $1.75, cheaper than anywhere else and they're genuine MB but actually Panasonics. My guess is that their inventory turns so fast that they are not old and stale. I probably get about 18 months out of a battery per FOB. Well no. They're $3.32 for 10 on eBay. Whether they're real or not is a different question. It was mentioned in one of the old threads.